From the mixed-grass prairies of the Panhandle in the west, to the Sandhills prairie and mixed-grass prairies in central Nebraska, to the tallgrass prairies in the east, the state is home to hundreds of wildflower species, yet the primary guide to these flowers has been out of print for almost two decades. Now back in a second edition with updated nomenclature, refined plant descriptions, better photographs where improvements were called for, and a new design, Jon Farrar’s Field Guide to Wildflowers of Nebraska and the Great Plains, originally published by NEBRASKAland magazine and the Nebraska Game and Parks Commission, is a visual treat and educational guide to some of the region’s showiest and most interesting wildflowers. Organizing species by color, Farrar provides scientific, common, and family names; time of flowering; distribution both for Nebraska specifically and for the Great Plains in general; and preferred habitat including soil type and plant community from roadsides to woodlands to grasslands. Descriptions of each species are succinct and accessible; Farrar packs a surprising amount of information into a compact space. For many species, he includes intriguing notes about edibility, medicinal uses by Native Americans and early pioneers, similar species and varieties, hybridization, and changes in status as plants become uncommon or endangered. Superb color photographs allow each of the 274 wildflowers to be easily identified and pen-and-ink illustrations provide additional details for many species. 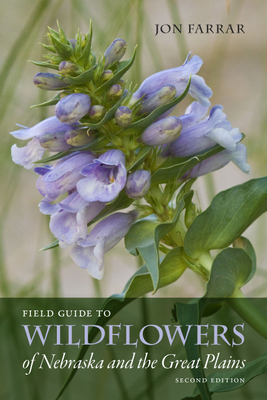 It is a joy to have this new edition riding along on car seats and in backpacks helping naturalists at all levels of expertise explore prairies, woodlands, and wetlands in search of those ever-changing splashes of color we call wildflowers. Author of Birding Nebraska: Where to Find Hundreds of Species on the Great Plains as well as hundreds of articles for NEBRASKAland magazine, Jon Farrar has been a writer, editor, and photographer for the Nebraska Game and Parks Commission for forty years.